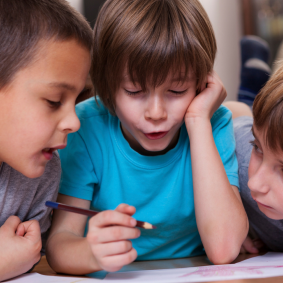 The Lidcombe Program is an evidence based, behavioural treatment for early stuttering, developed by clinicians at the Stuttering Unit, South Western Sydney Local Health District and researchers at the University of Sydney. The treatment is administered by parents under the supervision of a clinician. There are two stages in the Lidcombe Program. During Stage 1 the child achieves zero or near-zero stuttering, and during Stage 2 the child maintains that gain for a long period. The treatment in the Lidcombe Program is parental verbal contingencies during everyday conversations. Clinical measurement of stuttering is critical in the Lidcombe Program, because it is a focus of all management decisions and the focus of all communication about stuttering between the clinician, parent and child. This two day workshop is designed for SLTs who are interested in using the Lidcombe Program. The workshop will include short lectures, small group and large group activities, viewing and discussion of clinic visit videos, and case discussions. Each participant will receive a workbook with PowerPoint summaries of all material. Certificates of attendance will be issued at the completion of the workshop.